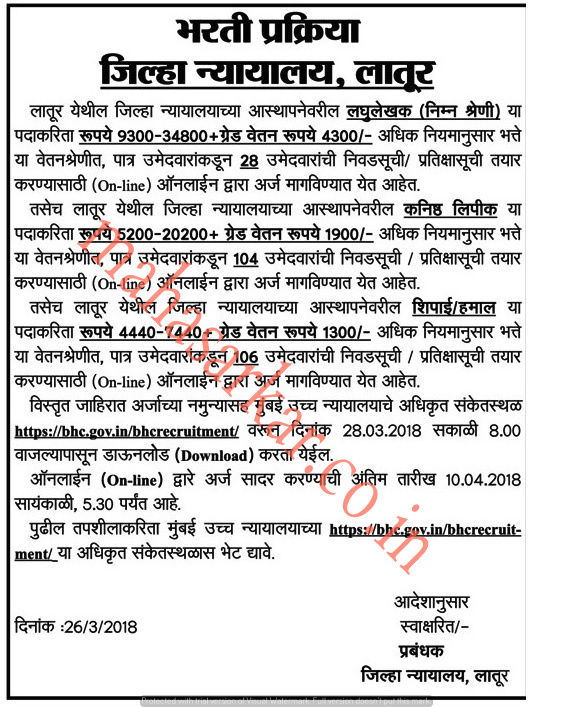 Latur District Court (Latur Zila Nyayalay),Latur Published Job Notification for 238 Lower Division Clerk – Peon & More Posts. Candidates who wish to apply must look at Latur District Court Lower Division Clerk – Peon & More Recruitment 2018. Eligible candidates can apply Online before 10-04-2018. Starting Date, Last Date to Apply Online at Latur Zila Nyayalay which candidates should be remembers as follows.